Volition are back with a brand new game in their latest open-world epic - Agents of Mayhem coming to Xbox One, PlayStation 4 and PC in 2017. The developers of the highly acclaimed and hugely successful Saints Row series have taken it to the next level with the creation of a new comic hero universe. Meet the Agents of M.A.Y.H.E.M. (the Multinational Agency for Hunting Evil Masterminds) – a motley outfit of unique and diverse Super Agents recruited from around the world to thwart the destructive schemes of the evil supervillain organization L.E.G.I.O.N. (the League of Evil Gentlemen Intent on Obliterating Nations). 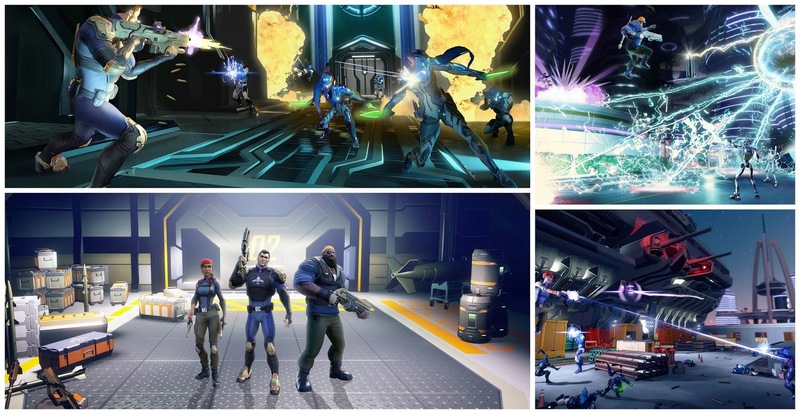 Featuring an original storyline, trademark over-the-top open-world gameplay, and the look-and-feel of a distinctive superhero cosmos, Agents of Mayhem is pure Volition. The title exists as a part of the Saints Row universe, sharing certain story elements, symbolism, and design inspiration with the multi-million selling franchise. Building on the skill of the AAA studio to continuously surprise, endear, and engage players, Agents of Mayhem represents the culmination of over a decade of open world experience and creativity.